Considering so many events last year were so unprecedented I’ve been thinking about the effects of all these changes. A number of not so obvious trends are poised to have big impacts on the built environment. What's more, these trends may change the way we understand spiritual places and worship environments. Salem Lutheran Church in Houston - Rising waters spared the new sactuary, but old buildings were flooded. I’m an architect with an established practice and an intense interest in the public and spiritual realm . I’m certain that the churches, temples, public institutions, and public spaces that we’ll be designing or redesigning in the future will be influenced by one or combination of these issues. In the next few weeks, I’ll be sharing some of the trends that I’ve been thinking about and will be following in 2018….. The year 2017 will go down in the record books as a year of Natural Disasters - Hurricanes Harvey, Irma, and Maria each broke records as they devastated lives and destroyed or damaged tens of thousands of buildings. Wildfires, most notably in California, continue to burn as the year ended. At the very least, responses to disaster may add additional layers of regulations or tighter building codes. These will almost certainly increase construction costs. The trade-offs, ideally, will be stronger buildings that last longer and protect lives during disasters. By tradition, the church is considered to be a place of refuge. Many congregations fulfill their mission by opening their doors to assist in disaster relief. Some of our recent projects have upgraded to accommodate families in need or displaced people. I expect we’ll have more programs that included adaptable spaces with extra showers and bathrooms that can be converted quickly in response to a crisis. As agencies are overtaxed or overwhelmed by huge disasters, there may be growing expectations of how a church should respond. We noted the public outcry when Houstonians displaced by floodwaters from hurricane Harvey found the doors of Joel Olstein’s Lakewood Church locked. 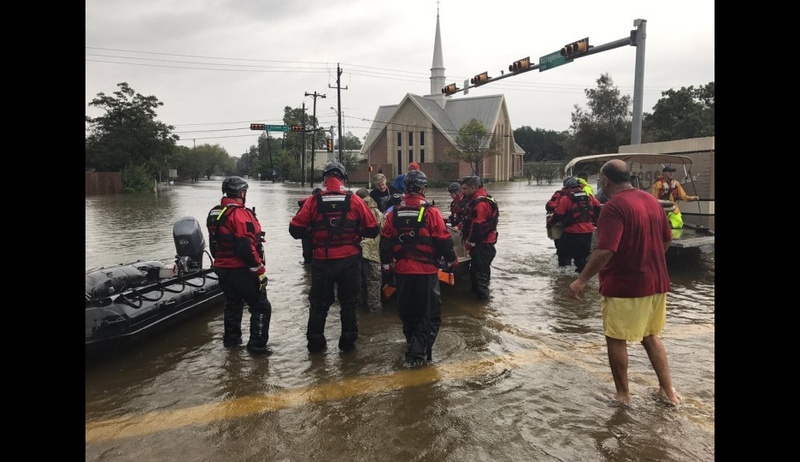 Eventually church leaders responded and provided resources for the relief effort, but the church was roundly criticized for its lack of response. Another impact will come as churches in disaster areas face rebuilding and redevelopment. This work will generate increased interest in strategies and building practices to improve survivability. That will likely mean an increase in construction and development costs over time. Some locations, such as coastal communities, may place severe limits on where buildings may be located. Jurisdictions may prescribe increased structural requirements or mandate added fire resistance. Congregations may also find themselves with unanticipated challenges as they are forced to upgrade existing buildings. Building code issues can be vexing for churches unaccustomed to dealing with commercial construction. I’ve blogged in the past about the importance of being proactive with building codes in the planning stages of a project. This will be particularly important in the future as permitting agencies may use a renovation or modest addition as a trigger to mandate existing buildings meet the new higher standards.